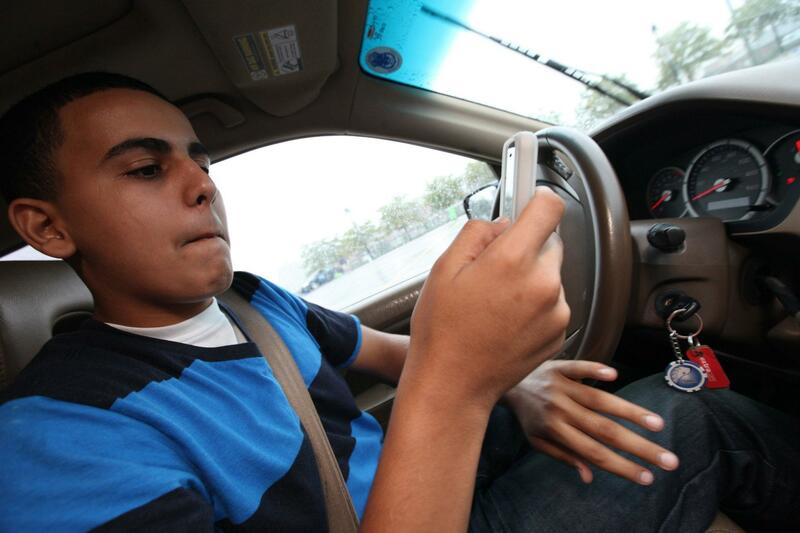 According to statistics, teen drivers tend to be more impulsive and distracted than other drivers. They’re also inexperienced. All of these factors combined mean that teenagers are more likely to be involved in collisions than any other demographic, which also means that they are more expensive to insure. If you have a teenager that’s just passed her road test, her safety (and the safety of others) behind the wheel is paramount. That’s why it’s important to teach her vital facts about the rules of the road. When it comes to your teen driver, it can be hard to get your message across. Sometimes, highlighting hard truths is the most effective way to ensure your teen is listening and actually absorbs the information you are sharing. Distracted drivers are just as dangerous, if not more so, than drivers who are under the influence of alcohol or drugs. Texting, talking on the phone, talking to passengers, eating, and even adjusting the music are all things that can take a drivers focus off the road. According to the National Highway Traffic Safety Administration (NHTSA), in 2016, 3,450 people were killed as a result of distracted driving. It’s also important to teach your teen how to handle driving in poor weather conditions. Rain, snow, sleet, and wind can make driving treacherous and result in serious crashes. Teach your teen driver how to navigate through inclement weather. Highlight the importance of pulling over or staying put if the weather is too severe. Teens often think that laws don’t apply to them or that they are invincible. As a result, they tend to ignore the rules of the road, including speed limits, red lights, and stop signs. Teach your teen about the importance of minding traffic laws, as doing so will reduce the risk of being in an accident or being pulled over.